Given the number of technology tools being used by educators and students, it's no wonder that mobile technologies and mobile learning are being explored in various implementations. From data collection tools to mobile phones, students are learning at school and on their own. Remember, however, that technology is a tool for learning, so we still need to focus on models that provide engaging uses for these tools. 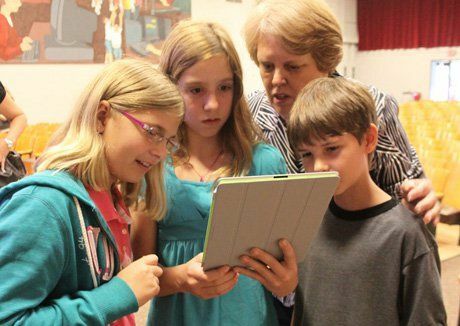 Project-based learning can pair well with tenets and best practices for mobile learning to create intention and flexible contexts for learning. Here are some tips and ideas to consider if you want to try mobile learning with your next PBL project. Educators can use the "Need to Know" activity, and have students create a list of questions and "need to knows" to compete the project. This list is revisited often for revision, reflection and goal setting, and sometimes these questions and "need to knows" come up outside of the formal learning environment. Use Twitter, or another related tool, with a hashtag to create a backchannel list of "need to knows." Also, give students the flexibility and space to question and think outside of the formal classroom. PBL projects present a great opportunity to have students go out in the field. Perhaps students can interview experts in their area of study or ask witnesses of historical events to support a project. Using mobile phones and apps like Evernote and Instagram, students can actively and quickly document the work. For example, they can record data on water quality or do video documentary work. The possibilities are endless, and PBL can create the intentional space for authentic real-world learning. It's easy with mobile learning to get a little "technology happy," overwhelming the classroom with Web 2.0 tools. Remember that even though many of our students are exposed to technology on a regular basis, we still must model their effective use. This can require instructional time devoted to learning the tool. To curb this concern, limit the number of tools that students use in a PBL project and across multiple projects. Let them become experts with a finite set of great tools, allowing them to build their skills. Not only will this keep you sane as a teacher, it will also create college-ready students who have mastered several mobile tools. Why limit when and where students collaborate with each other? I know my students text each other constantly to check in and set goals for work. Allow students use this as evidence for collaboration. Not only can you use mobile tools to teach and assess collaboration, but you can also use them to document the assessment process. Model this practice for students and reward their collaborative work through text message logs and other mobile apps. It is important to honor collaborative mobile learning as a valuable component in the learning process. Therefore, have students not only share their work but also celebrate their work. Perhaps you assign homework that involves a mobile device. If a student did extra work on a mobile device at home, acknowledge that student’s work publicly and have him or her share it to help teach others. An essential component of PBL is the public celebration of work. Do the same for mobile learning moments when they occur. Because PBL provides voice and choice in how students use their time and how they explore, the flexibility in mobile learning can support a great PBL project. The key, as with any technology tool, is to be intentional in the choice. Know where the mobile technology fits within the PBL project. Ultimately, we should move to a learning environment where technology is invisible. We can accomplish this by pairing PBL and mobile learning to create a space where technology is integral, and where the focus is on authentic, engaging and purposeful PBL projects.